Orsatti + Stuart was engaged by Bentley Homes to create a unique townhome community in East Whiteland Township at the historic Lochiel Farm Property. The 32 acre site was formally a working farm dating back to the late 18th century, and incorporated a large two-story home, in the Federal/Georgian style, as well as several smaller out-buildings. After years of neglect, invasive plants dominated the landscape, choking out streams and native vegetation and causing irreparable harm to many of the smaller buildings. During the design process the site was inventoried, identifying landscape worth preserving, invasive plants to be removed, and structures eligible for restoration and/or relocation. Several design schemes were discussed, evaluating the opportunities and constraints that each one offered. 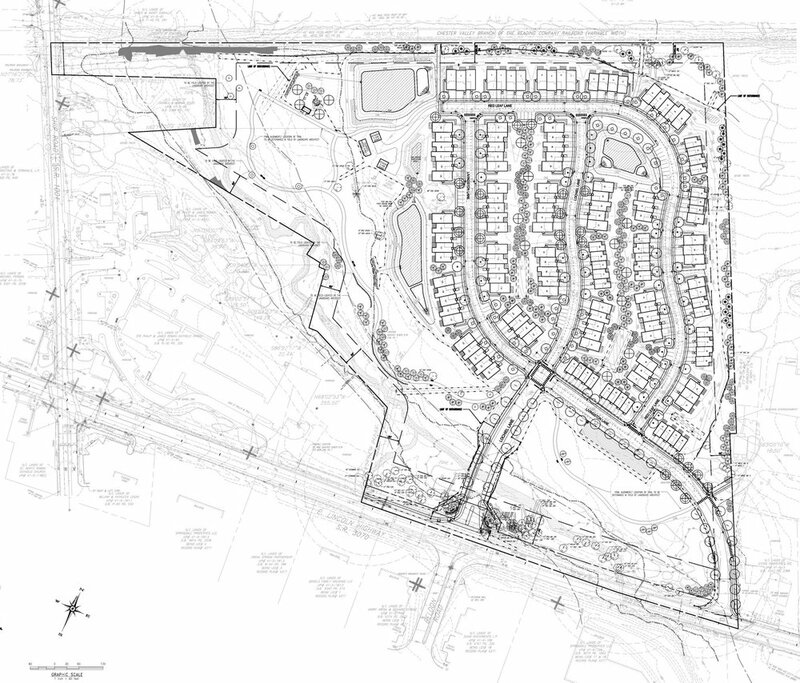 Ultimately, a plan arose which respected the historic nature of Lochiel Farm, addressed a multitude of environmental concerns, as well as the needs of the client. 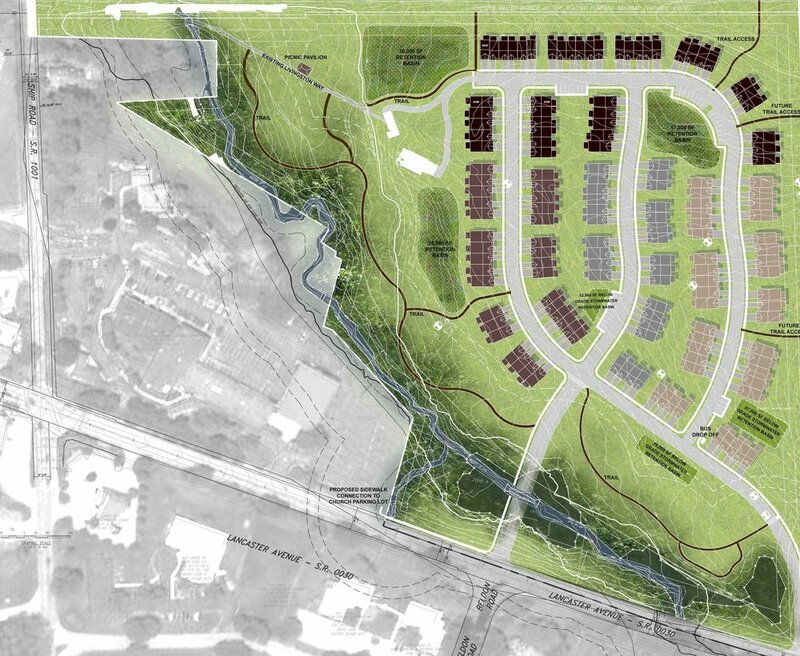 The final design consists of: a historic conservation area incorporating two historically significant homes, 140 townhomes situated within a meandering street network, and a trail network providing recreation/leisure activities and connecting the new townhome community to Route 30 and the Chester Valley Trail. Construction will begin in the near future and provide a beautiful, and active, community in the heart of Chester County.